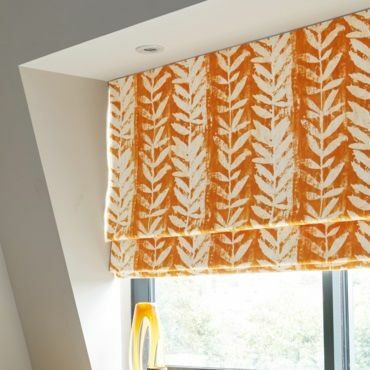 Say yes to colour and choose cheery orange for your window blinds. We’ve a fabulous selection of styles on offer in freshly squeezed shades. Discover our range of orange Roller blinds, great for any room looking for a dash of orange. View our range of orange Roman blinds, perfect for any room looking for a touch of orange. Browse our range of orange Pleated blinds, perfect for any room looking for a touch of orange. Intricate archways, vibrant colours and rich tones make Moroccan interiors warm and inviting. Orange blinds burst with a natural vibrancy that’s sure to liven up your home. 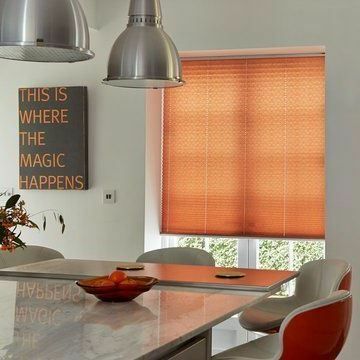 In our collection you’ll find orange blinds in shades that are alive with colour. And you’ll discover patterns that will create interest in your home. Bright orange blinds are the perfect way to introduce a pop of colour to a subdued scheme. But far from being all big and bold, our orange blinds range also features more subdued designs with soft undertones. It’s this mix of qualities that our orange blinds so well suited to all manner of interiors. Take a look at our collection and see for yourself. Browsing orange blinds online is a great way to gauge what’s available in our range. But to fully understand the collection, you’ll want to get up close to all our orange blinds during an in-home appointment. When you book a free home appointment with Hillarys, your local advisor will bring our entire collection to your home. With an advisor offering you valuable style tips, you’ll have the ideal opportunity to find the perfect blinds for your décor. 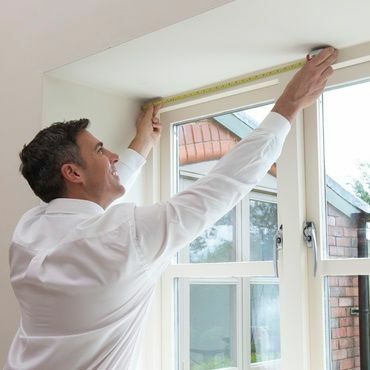 And your advisor will measure your windows before giving you a no-obligation quote to consider.